Mitr is a Thai word that means “friend” in Thai. Mitr is a sans serif Latin and loopless Thai typeface that combines senses of organic and humanist sans serif designs with rounded terminals. 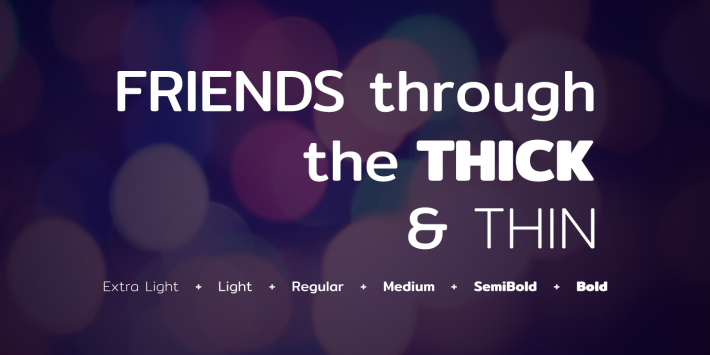 It has a wide structure and airy negative space that preserves legibility and readability. 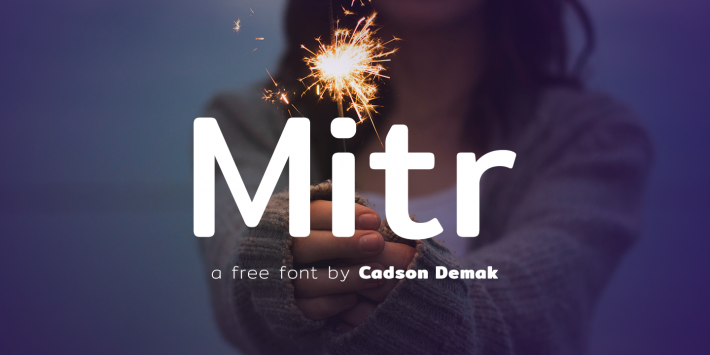 Mitr is a novel and friendly typeface that is suitable for casual usage such as celebration cards, magazines, and posters. A similarity between some glyphs such as ก ถ ภ ฤ ฦ, ฎ ฏ, บ ป, or ข ช is something to take into consideration because it might lead to confusion when typesetting very short texts. Mitr has a specific approach to the thick and thin strokes of Thai glyphs. 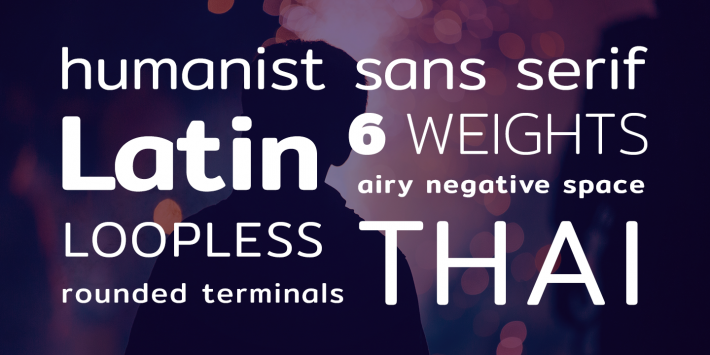 Other type designers may consider this font as an example when developing new fonts. Informal looped Thai typefaces have slightly simplified details, as compared to formal ones, and this allows type designers to extend them to heavier weights. The size and position of Thai vowel and tone marks have been managed carefully because they are all relevant to readability, legibility, and overall texture.